Lamoine State park is the perfect location for a Salt Water Trail. Centrally located; there are several very interesting paddles that can depart and return from Lamoine State Park. Eagles nests, seals and sea caves are a short paddle from the park. Regardless of which part of Acadia you are vacationing in; we can provide you with detailed information regarding recreational activities on land and water. We are the oldest running sea kayaking rental facility in Acadia; still operated by the original owners. Featuring Necky kayaks; custom fitting kayaks for extra tall, extra wide and people with range of motion issues. This site was built by Acadia1.com LLC. Managed by Shaun Donovan; Master Maine Sea Kayak Guide. Lamoine State park is the perfect location for a Salt Water Trail. Centrally located; there are several very interesting paddles that can depart and return from Lamoine State Park. Eagles nests, seals and sea caves are a short paddle from the park. Regardless of which part of Acadia you are vacationing in; we can provide you with detailed information regarding recreational activities on land and water. We are the oldest running sea kayaking rental facility in Acadia; still operated by the original owners. Featuring Necky kayaks; custom fitting kayaks for extra tall, extra wide and people with range of motion issues. This site was built by Acadia1.com LLC. Managed by Shaun Donovan; Master Maine Sea Kayak Guide. You can't pass through here during low tide; no water; other times it runs like a river; unpredictable with the water changing direction constantly. Very dangerous location; good spot to get wrapped around a piling. If you get in trouble here; nobody can see you from the road or land. Some of the best warm water species ponds in Hancock County. Put in is off fire road 100. Best bait; white Mr Twister tipped with worm. is a great place to catch strippers from shore.Rattle traps or a rubber shad works well. A great place to take the family. Sweet small town Maine ! The state record Lake Trout was caught in this pond 50 years ago. Fantastic fishing still. Trolling a tandem streamer fly from the back of your canoe works well here. With blueberry barrens that go on forever. Cherryfield is the blueberry capital of the world. Also known for one of the largest Black Bear populations in the country. This is a great place to put in. There is lots of parking; a boat ramp for power boats. There are toilet facilities at this location. Local fishing laws dictate paddlers NOT to use power boat ramps; but to walk you boat down the shore. Do not block the ramp. This practice applies to ALL boat ramps that are being used for commercial fishing as well as recreation. Keep off the power boat ramps; seafood is extremely perishable it cannot sit in the hot sun. The view from Hadley Point is Berry 's Cove and Lamoine State Park; Lamoine Beach and Googin's Ledge. to the town of Bar Harbor. : Rental Kayaks not allowed ! Most of the islands in this part of Frenchman's Bay are closed to landing because of nesting birds. Too much boat traffic; the winds and fog can be tricky. Rental Kayaks not allowed ! One of my favorite paddles in the county. You need to have local knowledge of the woods roads in the area for your shuttle. Nice brown trout fishing. This is a great spot to camp; and the Black Bass fishing is fantastic. No matter what is happening with the winds you can find a place to fish; either on the Massive Crawford Lake or the very impressive Pokemoonshine Lake. Over the years I have seen more Moose here; than any other spot in Eastern Maine. Bring bug dope. Best put in is the Crawford town landing. One of the best paddles in Washington County; the shuttle on this trip is a lot of work. It's best if you have some one that will drop you off at the Meddybemps town landing and pick you up in Dennysville. Black Bass and White Perch. Parking at the south end of the lake in the village of Meddybemps. This preserve lies on the western side of Mount Desert Island, on the Indian Point peninsula. The preserve features mature forests, as well as more than 1,000 feet of frontage on the rocky shore of Western Bay. The preserve was donated to The Nature Conservancy by Donald and Zelina Blagden in 1968. The forested preserve is dominated by red spruce, northern white cedar and balsam fir. Yellow and white birch, red oak and red maple are more common along the forest edge and in forest gaps created by blowdowns. A large stand of tamarack grows at the center of the preserve. The preserve supports abundant wildlife, including white-tailed deer, porcupines, ruby-crowned kinglets and osprey, as well as 12 species of warblers and six woodpecker species. Along the shore, harbor seals sun on rock ledges. Large and Small Mouth Bass. Great top water fishing action. Rattle Trap, floating Rapalla, white Mr Twister tipped with worm ! This is the put in; there are a dozen really tough portages on this run; but still well worth the effort. There are lots of river otters, beavers, moose and bear.. There is parking here for you shuttle. Because of all the blow downs, strainers and low water it took us 6 1/2 hours to paddle this run. There is no access by land; this nest is surrounded by private property. You can sit in your boat and watch the Adult's and their newest chicks. Just a hundred yards south of the nest at low tide; you can see thousands of giant star fish and black sand dollars. ( They are protected please do not remove them from their home ). One hundred yards south of the tidal pools is the Mount Desert Island Bio Lab . During low tide you can see the seals sitting on the ledge. Lots of fishing boats pass on either side of the ledge..pay attention to the travel route of approaching vessels... or you could have big problems here. At one time there was a massive Indian village here. The University of Maine spent several years closely studying this area. Look in the water at this location; you can see millions of mussel seedlings. This is a mussel farm. Keep in mind this is a working mussel farm; before you start your crossing; make sure your group will not intersect with a working dragger; causing them to stop and loose their gear; respect their space. Massive granite sea plane ramp. Lots of parking and a great place to put in. No restrooms; you have to go to the airport terminal. The Mount Desert Biological Lab is working on restoring the native eel grass in this region. This cove is also the site of a restoration of clams as well. Lots of wildlife gravitate to this area. Only a fool would paddle these waters without a life jacket. The carry for this put in is a couple hundred yards. Steep with roots; but well worth the effort. Good place to enjoy some top water fishing; this is a 15 minute portage to get to this pond; bring your wheels. At about 10 p.m. Nov. 29, 1944, the coning tower of U-1230 pierced the surface of Frenchman’s Bay off Crabtree Neck. Two uniformed German sailors pulled a rubber raft through the hatch and quickly inflated it on the bridge. Two men in American streetwear emerged next, carrying satchels that virtually bulged with handguns, diamonds, and $65,000 in cash supplied by the German government to finance their espionage mission. Parking and boat launch. Great Land lock Salmon fishing, lots of smelts as well. Looking south this view is the cover of the LL Bean catalog. The best access for North Western Bay. Pay close attention to the parking signs and be quick and concise launching your kayaks on the dirt launch. Sea kayak tours launch from this location every 15 minutes or so; every day in the season. If you lollygag on the boat ramp; you will be motivated by others; to exit said ramp. Fishing vessels have the right of way and have been known to threaten and intimidate kayaks. In actuality ; they are concerned they are going to run over inexperienced paddlers. 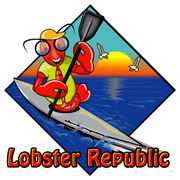 Our kids are lobster fishermen; we have insight regarding fishermans safety concerns; interacting with paddlers. When entering or exiting this or any harbor; exit or enter in a straight line and in a "predictable" manner. Keeping your group in a tight formation. DO NOT WEAVE IN AND OUT OF MOORED FISHING VESSELS. We advise against using this boat ramp. As soon as you leave the safety of the cove it is open ocean with large rebounding waves. This ramp was built specifically for rescue vehicles after several people got washed out to sea and died and there was no way to get to them. No Parking. Just don't do it. hide from a storm. This island belongs to the Rockefeller family. Kayaks are allowed to land and enjoy the view. Clean up after yourselves so this access continues. Great swimming spot; the water is warmer than most ponds on the island. Access is granted by abutting property owners. Please be respectful and tidy. "experienced" ;customers get washed out to sea here from a strong southern wind. They were lucky they got blown over to the Schoodic region. around (17 miles.) Don't be stupid and sneak out here. It could be the last thing you do. Acadia National park does not allow any boat launches from this area. Very dangerous area; lots of ledge, swells and pillows. Hundreds of humans have died off theses shore. The park service has a plaque on the shore path regarding the treacherous nature of this area. Even experienced paddlers should avoid this area. Tannery Brook. High tide put in only. Enjoy riding the tide all the way to Lamoine. ( 7 miles). No Parking. Salt water river. Must be high tide or big problems with ledge and rocks. The window to make Carrying Place Stream is very narrow. : Named after family member. Nice Paddle lots of eagles. Named after my wife's great uncle. He died while dynamiting a beaver dam. Or was he murdered? True story ! He was a Maine Game Warden. This is our office location; where you can pick up your gear. We are Registered Maine Guides offering sea kayaking in Acadia for almost 30 years. and pride ourselves on taking the time to provide you with personalized service. Our promise to you is the best rental equipment and no cattle drive kayak tours. Lamoine State Park is one of the real hidden treasures here in Acadia. Rest rooms, picnic areas, water front camping, hot showers, digging fresh mussels and kayaking. The park is a fee area. The "jewel" of Acadia. Lamoine beach. A great put in for kayaking. There are picnic tables. Many of our rental customers spend the day kayaking; between BBQ'S !!! Its the nicest beach in Acadia with restroom's and more ! : Wild Turkeys, deer, otters, fishers. There are several hundred wild turkeys running around Lamoine; please drive carefully. Wild Turkeys, deer, otters, fishers. This area is for experienced paddler's only. Whirlpools and big tides ! There has been lots of seals and eagles in Young' Bay this year. Go with a local guide to keep safe. This entire bay goes dry during low tide; don't find yourself trapped here at the wrong time; you will be stuck in 4 foot deep mud. Known for some of the best blood worming in the world ! Jordan River--- Do not proceed beyond the large boulder on the right. Stop here and turn around. At low tide you would get trapped beyond the boulder. This bay offers some of the best blood worming in the state. Access is by water only; we will deliver your rental kayak to Lamoine Beach the paddle is 1 1/2 miles to the Oven's. Ancient Native Indians believed the "Devil's Ovens" were the entrance to Hell. Many people were taken there; staked down at low tide and left to " burn in hell for eternity". This practice took place for thousands of years; Esek Winslow; a Indian Tracker was a survivor; the Indians capture him and took Esek from their inland settlement to the Devil's Oven; staked him down during low tide. After a long agonizing wait the tide began to come in. His head began to hit rocks. He realized the stake had come loose. The water loosened the ropes around his wrists and set him free. Esek Winslow survived his close encounter with the Devil's Oven; the Indians left him alone for the rest of his time in this world. If the fires of Hell did not consume this man; the Indians wanted nothing to do with him. Hancock County's largest body of water is a man made lake. Great bass and white perch fishing. Brown Trout below the dam. Lots of moose around the northern shore. Public boat launch south west side of lake. Free camping on one of the most beautiful lakes in Maine.Great hiking trail system with connections to the Tunk Public Reserve Unit. World class Land Lock Salmon fishing ! The only public boat launch is located in the Town of Franklin at the intersection of Donnell Pond Road and Moose Road. Tunk has free camping access by boat or hiking in. Fantastic Touge (Lake Trout)fishing. Waters are reported to have the best visibility in New England over 100 feet. Large deep Lake; wear your life jacket ! Schoodic is my favorite hike in the Acadia Region. The view of Mount Desert Island and Frenchman's Bay is breath taking. After your hike up the mountain you can take a dip in Donnell Pond. Your put in is Great Pond in Arroya; your take out is Tannery Falls. Hell's Gate is a three pitch; class three run. Great brook trout fishing. This island was a sheep farm at the turn of the century. At that time a wooden rail system connected the island to the mainland. The beach at the south end of the island is fantastic. Big waves fetch up on the west shore of this island. No camping day use only. Great hiking and picnic area; lots of seals and eagles in this area. Some of the best Salmon and brook trout fishing in Hancock County. Trolling a streamer fly of using bait fish works well here. The salmon and brook trout can be massive. This large male was caught by Bar Harbor local Mark Smith. Maine public Reserve Land. Camping for two people only. Very small island not much more than a big rock. Fantastic view; lots of seals. Managed by Maine Island Trail. Managed by the National Park Service. Dozens of free places to camp and lots of micro beaches. Very remote and private ! This massive island has moose, bear, deer ! A great free camping spot on the western side of the island. This property is under the management of the the Maine Coast Trust. Enjoy the view or climb the sheer ocean cliffs. A nice hike; about an hour to the top from the parking lot; and just a little bit longer than that; getting back to the bottom. Avoid on damp days. This is a nice little paddle if its too windy on the salt water. A elver run in the spring; striper run in the summer; there are several eagle nests in this area. There is a put in on Rt. 3 in north Bar Harbor. This is one of the best locations in all of Acadia for oceanfront cabin rentals. From here you can paddle to dozens of islands many with secluded beaches. The 200 acre Stanwood Wildlife Sanctuary is a charitable, non-profit organization dedicated to preserving the home and vision of pioneer, ornithologist-photographer CORDELIA J. STANWOOD, as a living memorial to her achievements in Ornithology and life. You can see for ever from the the top of the tower. Only two others like it in the world. The fishing in this massive "pond" is fantastic.We have caught over 20 large lake trout in one morning. Access is the ramp in Acadia National Park next to the Jordon Pond House. Carnivorous Pitcher Plant found on the west shore. A Maine State scenic drive. Lots of lakes; streams and hills to explore. This shortcut save you half an hour; instead of driving rt 1. This is the put in for the Machias river trip.In the spring don't forget the bug dope and your z drag. Black Bass, brook trout, beaver and lots of moose. A short paddle from A.N.P'S Thompson Island Picnic Area in Thomas Island and the Twin Islands. These property's are managed by the U.S. Fish and Wildlife. There is no Landing on these islands; closed to the public. As we paddled around the islands we counted eight bald eagles on the shore and in the trees! Watch out for moving speed bumps. Some of the best food in Acadia can be found in the small villages. If you see a bunch of pick up trucks out front of the place you can bet this is were the local lobster fisherman eat! There are several on rt. 1; downeast. There are thousands of miles of woods roads in this area; you will need a good map; compass and a full tank of gas. Don't forget you jack and a spare tire; the bug dope and a fishing pole. This is a great place to paddle; but only for the very experienced paddler. The tide are 20 feet and there are whirlpools and lots of very dangerous spots. This is where I grew up; just down the road from here and learned to sea kayak here on the St Croix ! some of the best bass fishing in Washington County. There is parking at the ramp for just a couple of cars. Downtown Bar Harbor has way too much boat traffic. Downright dangerous. Most of the islands are closed to the public. When you have had enough of this tourist trap; give us a call. We will send you to the sweet spots ! This cove has been a Indian Village; a shipyard; and a military facility. Today it is the location of efforts to reintroduce eel grass to the region. There is an old eagles nest here; even though there was a house built within 1/8 of a mile of this nest ; the eagles are reproducing at an astounding rate. We counted six eagles in one trip to the cove. They were feeding off a school of herring. There is an very active eagles nest at this location. Besides having a very nice rope swing; the snorkeling here is very nice; you can watch tell the difference between stock trout and the native fish. The stocked fish travel in large schools; the native fish are lone wolves. Directly across from the rope swing is a very nice rock garden. Deeper holes in the center hold some massive snapping turtles. Visibility is usually 15 to 20 feet. in Hancock County. Moose; lots and lots of bear. This new boat launch is very nice. Park at Ike's Point. Put on your flippers and work your way south; staying close to the shore. Almost immediately you will see brook trout hunting the ledge drop off. Massive rock gardens on the west shore hold lots of large land lock salmon and thick schools of sea smelts. Visibility on a still day can be 50 feet easily. There is a good chance a state record salmon could be in this lake.